Sandra Farrell and the Mid West Simon Community are planning #TheBigSleepOut on the streets of Nenagh on December 22nd to raise awareness about food poverty. 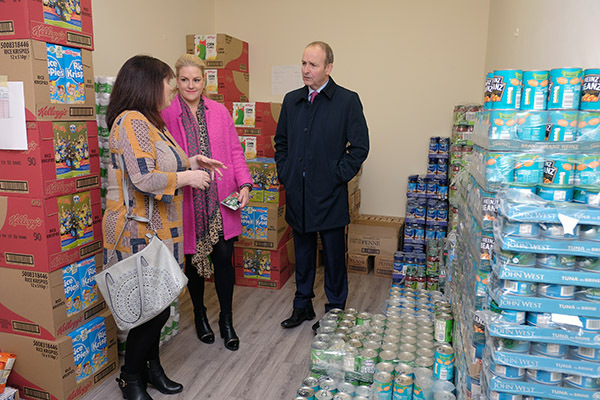 The Nenagh Food Bank, which helps sustain about 500 people in the area, is run in partnership with Mid West Simon and this event is to raise funds for the transport costs incurred by them in delivering food supplies to us and others. How can you support #TheBigSleepOut? You can download this Sponsorship Card at www.sandrafarrell.com. Ask people to sponsor you, Mid West Simon, Sandra or anyone else who wishes to join our volunteers on #TheBigSleepOut on December 22. Use the contact page on www.sandrafarrell.com to register for sponsorship support.